Tweed is a trend that has come and gone, but a simple structured tweed jacket is here to stay! I love the structure and polish it brings to an outfit! Love the Faith Connexion one! OMG! As I scrolled down I thought, "This one!" then "That one!" and then I couldn't decide! I love them all! Great finds! i love love love the parker one! Love this post! 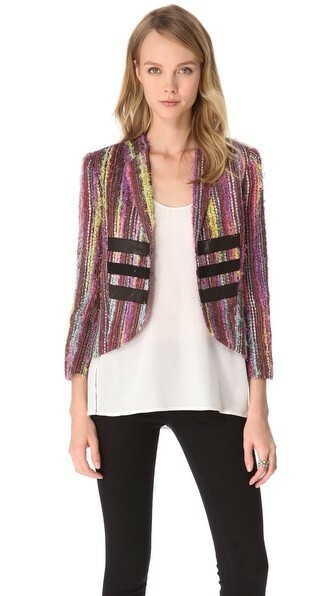 I've been looking everywhere for a cute tweed jacket. This is the perfect inspiration. 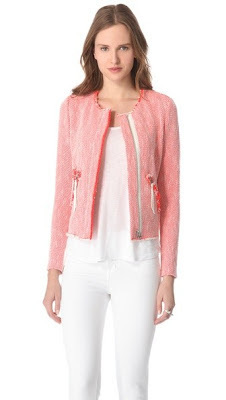 I am all about adding jackets to an outfit...its the perfect touch. I love the Kelly Wearstler one! Yes, please...all of them! Tweed is so very classy!